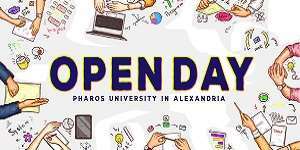 Pharos University welcomes the invitation of parents and students to attend the Open Day of the University. This will be an opportunity to meet the university professors and learn about the various study programs of the faculties and the conditions of enrollment. 1. To attend the open day, each student is required to complete the registration form (by clicking on the attached link). The student will not be allowed to attend these seminars if the registration form is not completed electronically.